Fashion often repeats itself. We’ve seen it with the return of ’70s-inspired silhouettes and right now, the ’90s are back and better than ever. However, the cycle of trends from decades past can also extend into more niche categories as well, including swimwear. Most recently, high-cut, high-rise bottoms have been making a comeback, and if you’re looking for the next big revival, it’s swimwear with (drumroll, please) shorts. We’re not talking about simply wearing a pair of shorts over your one-piece or bikini. Instead, it’s all about ’50s-style swimwear with full-coverage bikini bottoms. These bottoms have a lower cut around your legs, creating less of a triangle shape than the standard cheeky style. Not only does this type of swimsuit bottom make partaking in any beachside activity—from surfing to reading—but it also feels incredibly comfortable. The trend may be referring to a retro silhouette, but it’s taken on a modern approach. 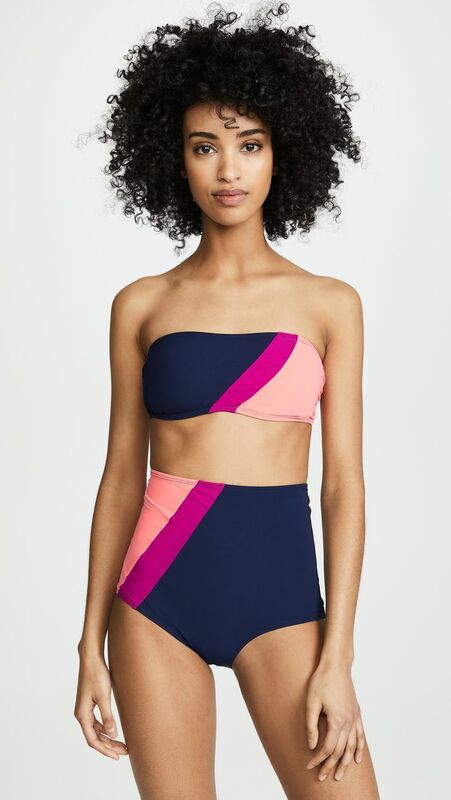 From colorful graphic details to on-trend snake print, these swimsuits will feel as cool as they were the first time around. Scroll down to start shopping for your next favorite now. We're obsessed with the graphic details on this. How good is this denim swimsuit? You'll never get tired of this flirty swimsuit. Perfect for your next tropical vacation. The shiny material of this will feel so luxurious whenever you're swimming. We're loving the ruffled accents of this. The stripe placement on the bottoms make this so interesting. The floral print of this bikini is groovy. You'll be seeing this print everywhere. It doesn't get more on trend than this. Up next, check out the chic bikinis you'll see everywhere this season.